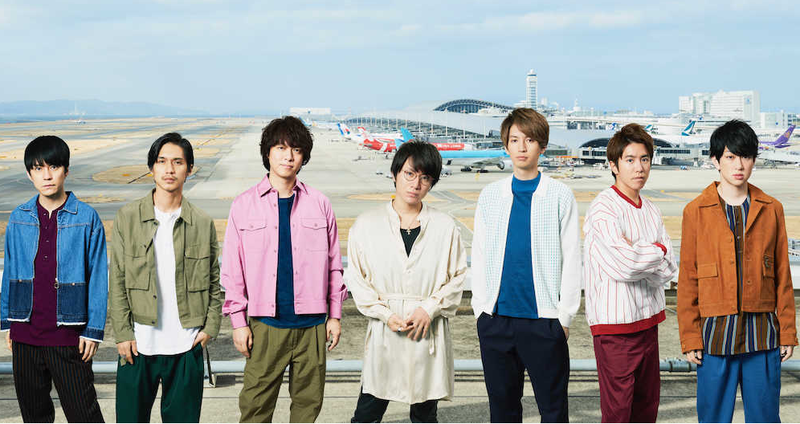 Kanjani8 declares 201∞ as “Kanjani∞ Year”, as they announce the release of their newest best album “GR8EST” on May 30, 2018. This comes after 5 and a half years since the release of their first best album “8EST” on their 8th anniversary. The best album will include 21 single songs starting from “Aoppana” (released September 2012) until “Oto Seyo” (released November 2017. In addition, the album boast as bonus tracks two even GREATer new versions of the song “Musekinin Hero” for which the group collaborated with Tokyo Ska Paradise Orchestra who also aranged the song and “Osaka Romanesque”, in which world famous violinist Hakase Taro performs in combination with a strings arrangement. The music video collection will include all of the released music videos for singles, coupling tracks and album lead tracks starting from “Aoppana”. It will also include the band collaboration with Tokyo Ska Paradise Orchestra for “Musekinin Hero”. “Osaka Romanesque” will feature 7 solo shots of members in different situations and places in Osaka. 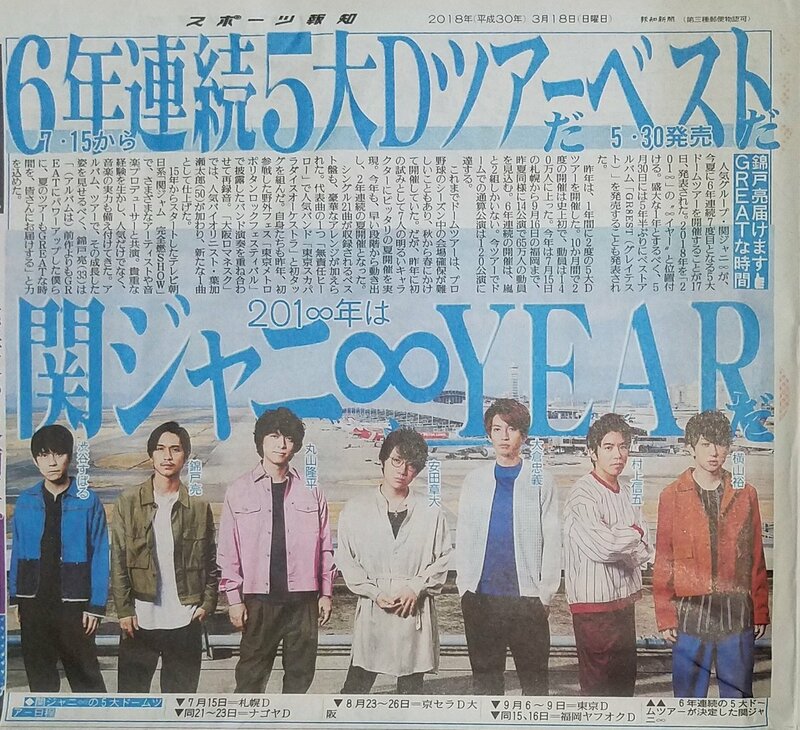 The group will also hold a 5-major Dome Tour titled “Kanjani’s Eightertainment GR8EST TOUR” this summer. This will be their 7th Dome Tour for 6 consecutive years. More on the album info and tour schedule below. 07 – King of Otoko!